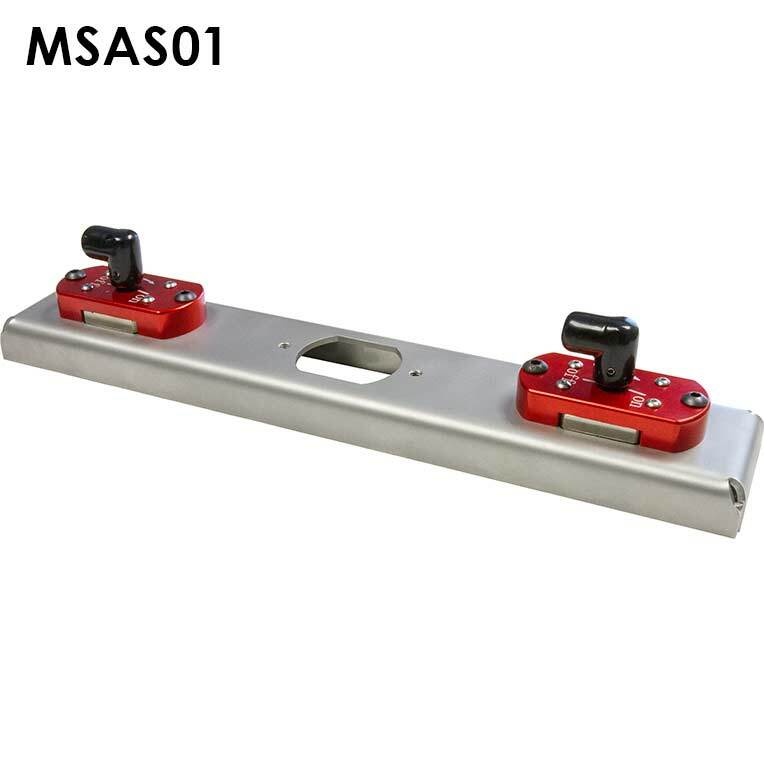 This Magnetic Squaring Arm for Press Brakes provide press brake operators to move parts through their press brake faster, safer and more accurately. 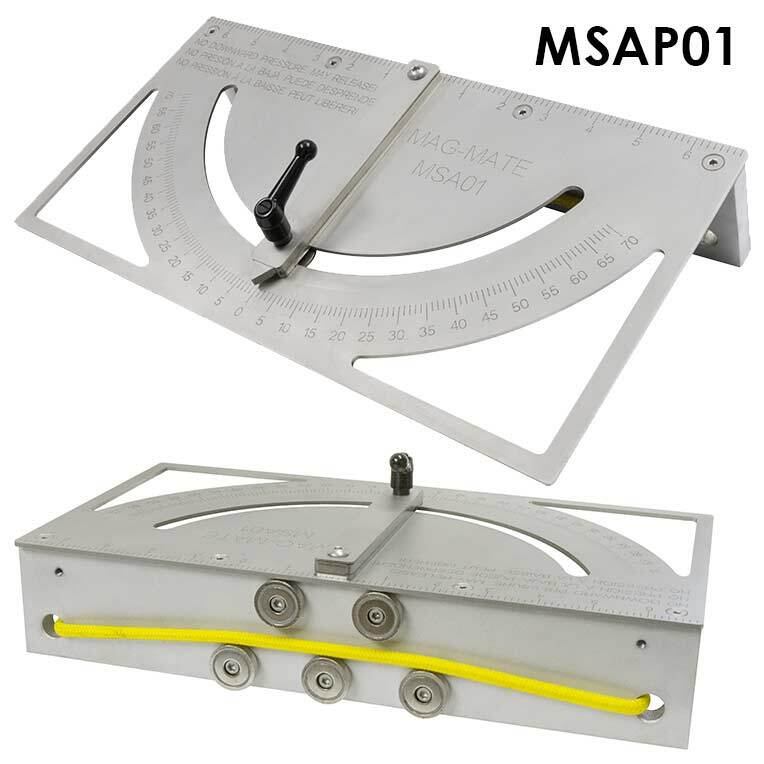 The squaring arm is designed and manufactured to attach to a flat surface die without tools by using powerful rare earth magnets. Maximize shear efficiency by utilizing the entire shear blade for uniform wear and perform angle cuts. On/Off magnets allow for fast setup with a standard framing square. For extra strength, an additional magnet can be added in the center. For short bed depths, one magnet can be moved to the center hole.